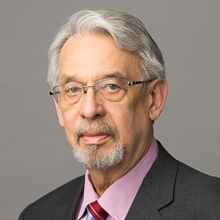 Partner Donald W. Rupert, and other members of the faculty of the National Institute for Trial Advocacy (NITA), will conduct a 3-day CLE program on deposition and pretrial skills at the Loyola University Chicago School of Law on June 9–11, 2010. NITA is the nation’s leading provider of legal advocacy skills training. Mr. Rupert has been a faculty member for NITA’s training programs since 1995.